See Optin Page of this product. See Affiliates Center of this product. Turbo eCom Amazon™ Module For PrestaShop is the latest in speed, ingenuity and grace and gives you the ability to effectively incorporate eCommerce functionality to your PrestaShop site.It is the most flexible, easiest-by-far architecture (especially for newbies!) Module that literally enhances your existing PrestaShop site by fetching Products from Amazon to it with complete ease, essentially turning your shop into money. It's about making easy money with less steps for people and therefore more conversion...But mostly, it makes you look more professional and clued in. 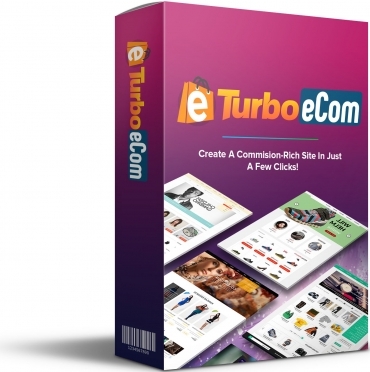 With Turbo eCom, you will speed up your commissions, just like with all Turbo Products that aim to cut out pointless steps to profit or increase function and use.